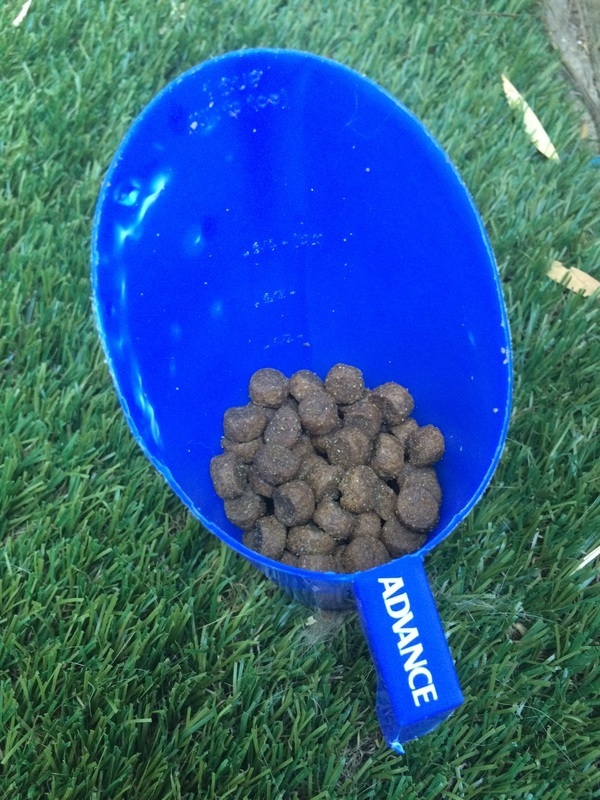 My dogs all must work for their food – no eating from a bowl in our household. A bottle bungee food dispensing toy is easy to make at home, and costs only a small amount of time and a few dollars to make. 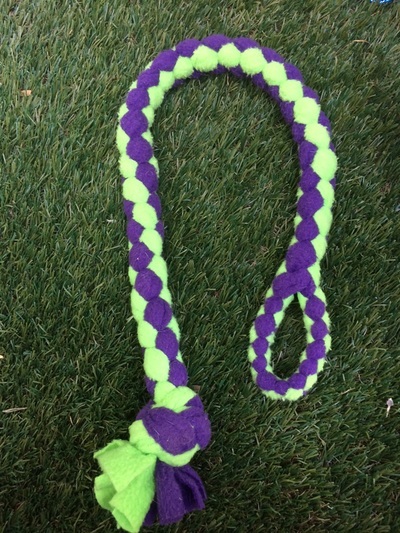 It is not only useful as a daily enrichment toy, you can also use it as a distraction at times that your dog is more likely to be engaged in undesirable behaviours such as barking at the neighbours, barking at the garbage truck, rounding up the kids or fence running with the postman. 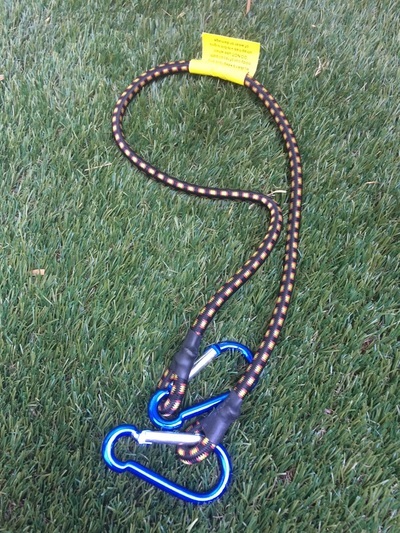 A bungee cord (I bought mine from Bunnings 2 for $6 – the ones with the carabiner on each end are easier and safer to use). 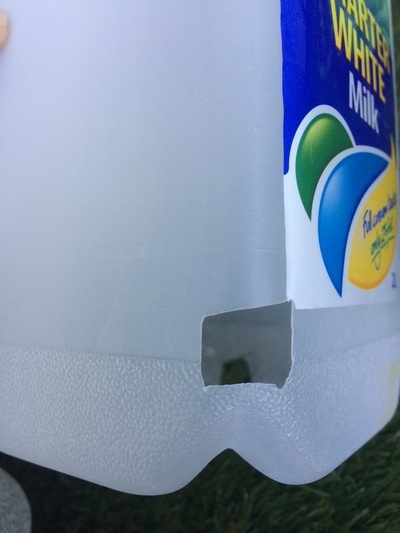 An empty 2L milk bottle – washed and allowed to dry (or similar bottle – needs a handle). A piece of soft material or rope (fleece is good as this is more comfortable in your dog’s mouth). 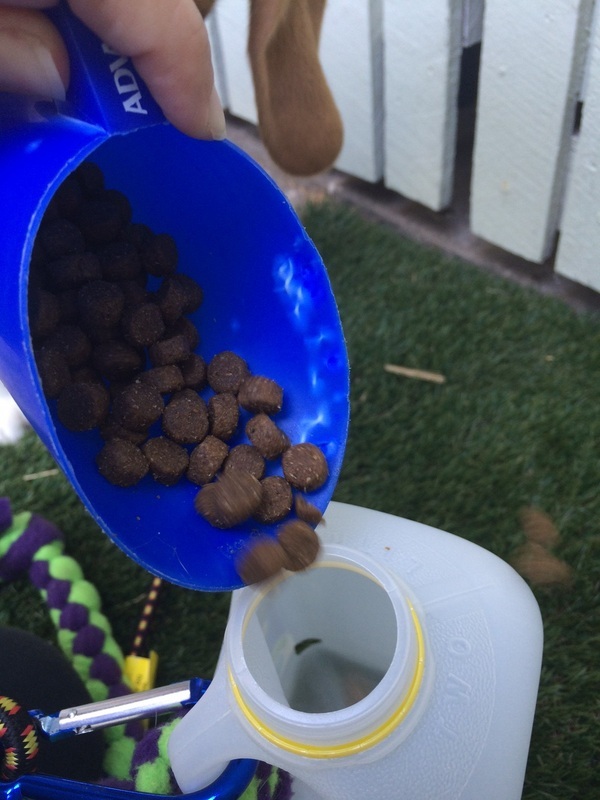 Using your scissors or craft knife, cut a few small holes around the base of the milk bottle – the holes need to be just bigger than your dog’s dry food. Attach one end of the carabiner to the handle of the milk bottle. 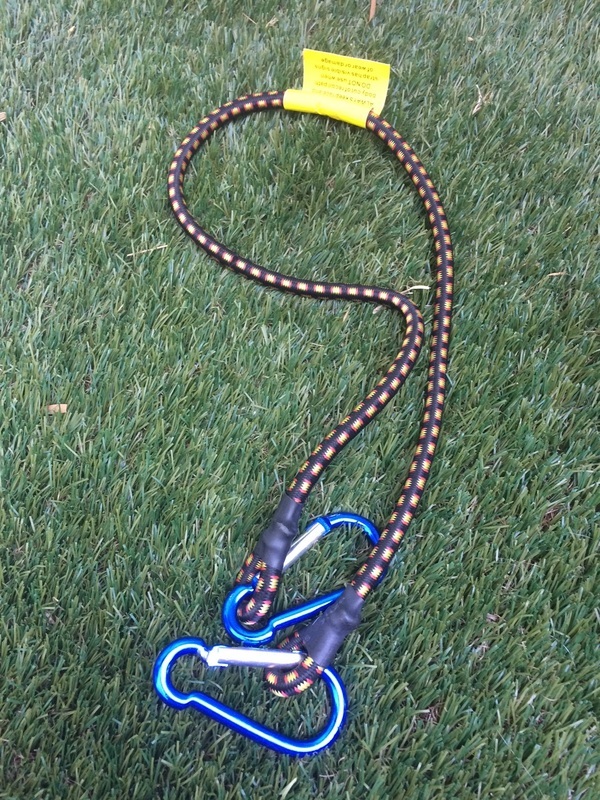 Now tie a length of soft rope or material to the handle. Add some dry food through the top of the bottle. 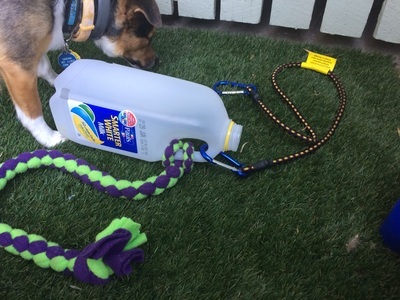 Now hang the bottle using the bungee cord at a height appropriate for your dog. Hang the bottle in a tree or use an eye bolt or rafter. 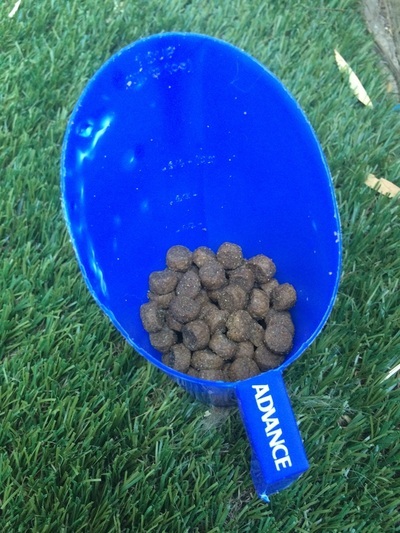 Don’t use the washing line, as we don’t want to encourage your pooch to start with washing renovations. The bottle bungee should be just high enough that your dog can reach the rope to tug on without having to jump too high (as we want to avoid awkward landings and injuries). 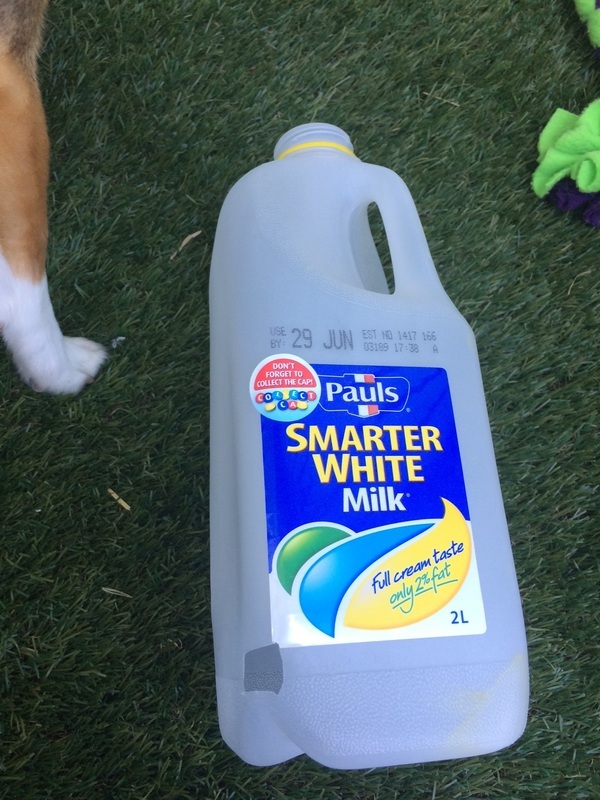 You may have to show your dog how to use the bottle initially. 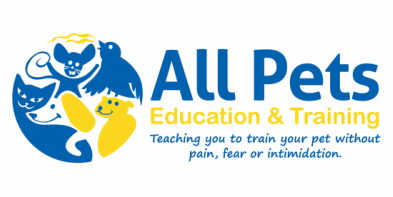 As your dog gets better at tugging to release the biscuits, replace the bottle with a new bottle with fewer holes and cut higher up the sides.